Best in class web hosting tailored to your specific needs, backed by 24/7/365 support and built on a solid redundant Tier 1 Network. 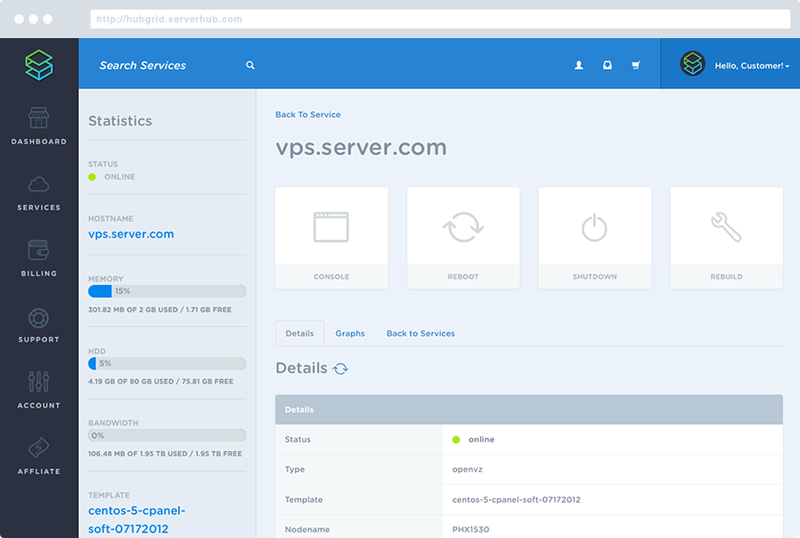 VPS Servers where 10G node connections, RAID-10 and SSD Caching come and High-IO are the new standard of Virtualized Hardware . Enterprise Class bleeding edge servers launched in as little as 60 minutes. Featuring up to 20G Network connections and Big Data bandwidth. 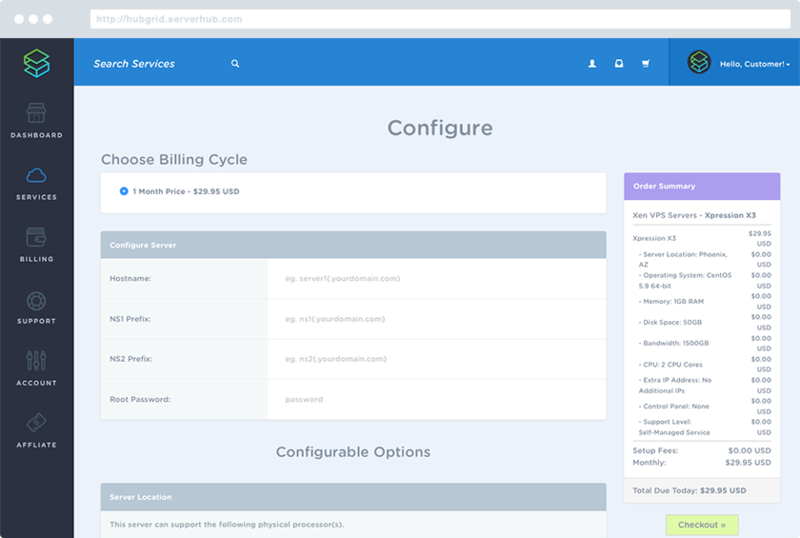 Introducing HubGrid A Unified Control Panel. 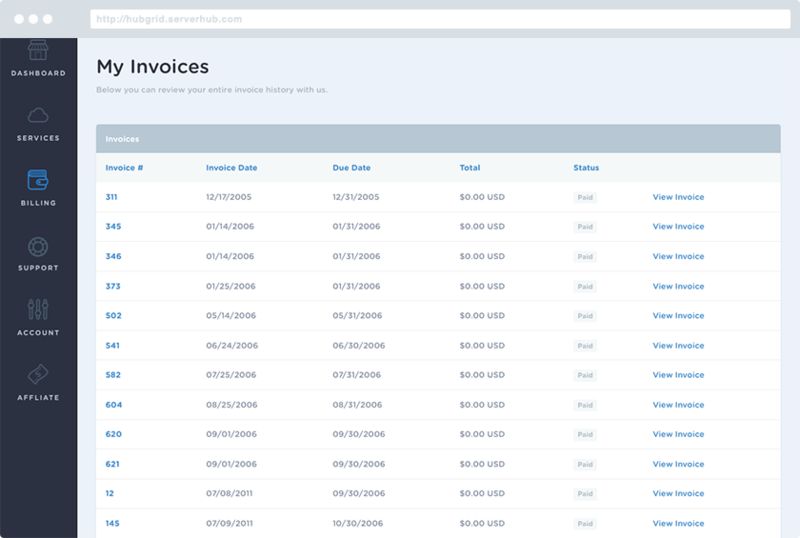 Seamlessly open tickets, pay invoices, change and manage services. all in one powerful control panel. Elegance meets Simplicity. True brilliance and execution can only be expressed in one word: HubGrid. Designed from the ground up with beauty, finesse and pixel perfect presentation. No other panel can compare. A breakthrough in unification, all your critical dashboards all in one place. 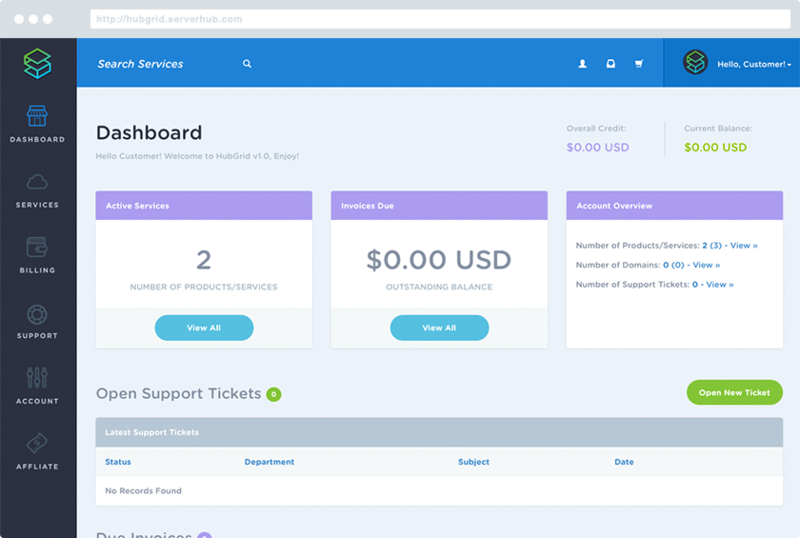 Perfection in execution, a single and intuitive user interface that puts you in control of your billing, support and account management all in one place. In the world of business, execution and timing is everything, we live in a world where real-time delivery automation translates to instant scalability without a disruption in the flow of business. ServerHub Infrastructure is designed at the power of instant. Waiting days for your deployment is outdated, you expect the best and we deliver at the speed of now. Reasons Why Our Customers Love Us! Our Platform spans across 7 locations around the globe and with our Enterprise Network it seem like your servers are right next to each other. We utilize the latest Juniper backbone and have multiple single 40GB interface connectivity within our datacenter to bring you some of the fastest connections available without the need to port channel. Big Data needs a Big Pipe, and we deliver. We deliver fast, reliable and knowledgable support with every service offering we provide, We don't just focus on response time. We focus on meaningful resolution times, so you can get the answers you want, when you need it. Because what is a great Enterprise Network and Infrastructure without a solid team to support it? Your Servers don’t sleep and neither do we. We staff our Network Operations Centers around the clock to ensure that the network is running top notch and that your servers are delivering content to your customers when they need it the most. This isn't our first rodeo, we design each network location with full redundancy to give you 100% network uptime. From carriers to Core Routers, every path is diverse and redundant. With a great network infrastructure & support it's no wonder thousands have chosen ServerHub, here is what some of our customers have to say about us. We have been with many hosts over the past few years and none has impressed me as much as Serverhub. I have been with Server Hub for well over a year now and expect to be with them for far longer. They provide great customer support, impressive equipment, and great value.